of Andres Manuel Lopez Obrador as President of Mexico, in Mexico City, on Sunday. but the country's hard realities may bring a reckoning sooner than later. 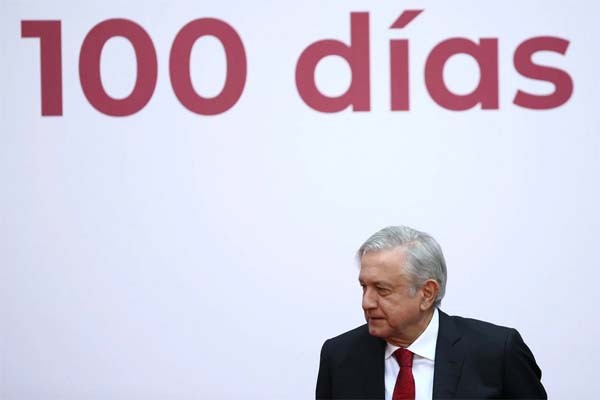 MEXICO CITY — Andrés Manuel López Obrador's first 100 days in office have been filled with announcements and proclamations. He has made grandiose gestures that have been applauded by public. He stripped former presidents' pensions , opted to fly commercial in coach instead of on the presidential Boeing (though the government must still pay the yearly lease on it until it's sold) and opened Los Pinos — the Mexican White House, Executive Office Building and Blair House all in one — to the public as a museum . On the campaign trail, Mr. López Obrador vowed to transform Mexico. He has awakened enormous expectations and sparked widespread debate on public policies, the past and the future in Mexico. This is welcome news. He has made a few decisions, most of them unwise, and promised practically everything under the sun, including a Scandinavian-style health care system for everyone. And while he has drawn huge popular support, actual applied policies are still few and far between, and that is not a good thing for a country facing as many challenges as Mexico. Aside from firing a large number of civil servants, only three decisions have actually been put in practice: one offensive, one absurd and another praiseworthy. Mr. López Obrador is doing Donald Trump's dirty work with Central Americans by using Mexico as a third country to host those seeking asylum in the United States. He canceled the construction of Mexico City's new airport, which has been partially built, at an enormous cost to the budget and to the capital's future. It is still unclear how the city's old and congested airport will be refurbished or whether another airport will be built to complement it, but the impact on the markets was significant. Conversely, his decision to raise Mexico's miserly minimum wage nationwide, and to double it along the border, was wise and timely. 100 days of his presidency at the National Palace in Mexico City on March 11. He got congressional approval for the formation of a National Guard, under de facto military command, that would be in charge of “preventing and combating crime” throughout Mexico. He promised pensions for the elderly, scholarships to high school students, financial assistance to handicapped people and most important, a paid apprenticeship for the roughly three million young Mexicans who are unemployed. AMLO also wants to build a Mayan train in the Yucatán Peninsula, a new oil refinery in his home state of Tabasco and a Trans-Isthmus railroad to compete with the Panama Canal. He is trying to establish a parallel system of power and government in each of Mexico's 32 states, naming a personal delegate in each. Last, he intends to pull back funding from social, civil and nongovernmental organizations. As a result, funds for pre-existing social programs, such as for victims of domestic violence and day-care centers, have been cut and will instead be delivered directly to users (in theory). While most of these proposals are popular, they are also a source of concern. They are inspired by Mexico's old politics of clientelism, replacing former mechanisms of federal spending by direct transfers to future potential voters. Through authoritarian, personal appointments, they bypass the deeply corrupt federal system, based on all-powerful governors. They also tend to further militarize Mexico's failed war on drugs and organized crime, which has claimed more than 250,000 lives and around 40,000 missing persons since 2006. Many of these plans will in all likelihood not come to fruition. Government revenues were down 7.5 percent in January; the economy cooled down in October and barely grew in January. Mexico's new governments always need time to carry out their plans. Some have had a major impact during their first 100 days, like Carlos Salinas in 1988-99, or Felipe Calderón in 2006-07; others less so. There is always a learning curve, particularly after the end of the Revolutionary Institutional Party, or P.R.I., in 2000. But in Mr. López Obrador's case the sheer incompetence of his cabinet is a major obstacle to his promises' becoming policies. Additionally, growing violence throughout the country ensures that the process for this government will be even more drawn out. So it is not just a matter of the practical difficulties in handing out money in ways that free market theorists like Friedrich Hayek and Milton Friedman would not have dreamed of, but also that there is no money to hand out. Most economists are now forecasting a sharp decline in government revenues and spending this year, as well as a decline in foreign and private domestic investment. They estimate a 1 percent growth in the gross domestic product at best, perhaps less. January was also Mexico's bloodiest month since records on homicides have been kept. December was no better. Pressure from Washington to crack down on shipments of cocaine from Colombia and fentanyl from China, and increasing poppy cultivation in several Mexican states suggests no end to the violence. This, in turn, will continue to frighten investors and tourists. He has shown authoritarian , demagogic inclinations, and there are virtually no institutional counterweights in Mexico today. Mr. López Obrador is filling Supreme Court vacancies with his supporters, and the political opposition is in complete disarray. The only opposition exists in the markets and the punditocracy. Hopefully the few existing checks and balances and economic realities will ensure that he does a minimum amount of harm. But given the nature of his rhetoric, this is unlikely. How will Mr. López Obrador react when reality sets in and he discovers he can't fulfill his promises? The reckoning may be sooner than later. Jorge G. Castañeda, Mexico's foreign minister from 2000 to 2003, is a professor at New York University and the author of “Utopia Unarmed: The Latin American Left After the Cold War.” Petroleumworld reprint this article in the interest of our readers. Editor's Note: This article was originally published by The New York Times, March 12, 2019. All comments posted and published on Petroleumworld, do not reflect either for or against the opinion expressed in the comment as an endorsement of Petroleumworld. All rights reserved In accordance with Title 17 U.S.C. 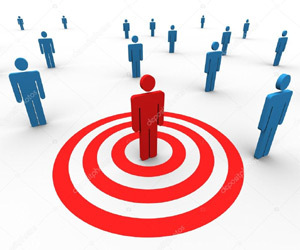 Section 107, the material on this site is distributed without profit to those who have chosen to view the included information for research, information, and educational purposes. For more information go to: http://www.law.cornell.edu/uscode/17/107.shtml. If you wish to use copyrighted material from this site for purposes of your own that go beyond 'fair use', you must obtain permission from Petroleumworld or the copyright owner of the material. Internet Web links to http://www.petroleumworld.com are apreciated.